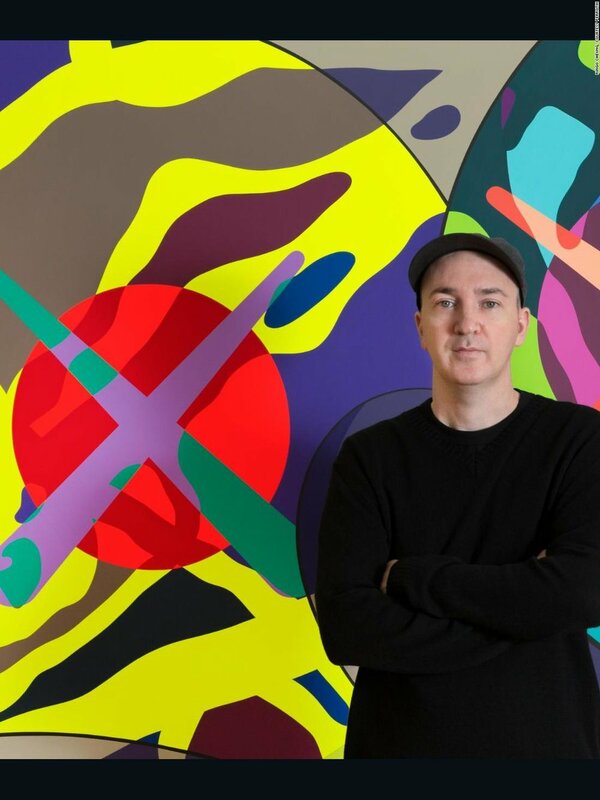 Brian Donnelly, better known by his art moniker of KAWS is a graffiti artist, illustrator, painter, sculptor, product designer, and toymaker. His cartoonish style—including his best-known characters with X-ed out eyes—has its roots in his early career as a street artist, when he began replacing advertisements with his own, masterful acrylic paintings in the early 1990s. Since then, KAWS has embraced the commercialist spirit of Claes Oldenburg and Takashi Murakami, designing everything from Kanye West album covers to Nike sneakers. Avoiding the distinction between products and art objects, KAWS has shown his work increasingly in galleries and museums over the past decade; some of his most famous images are reimagined versions of pop characters like Mickey Mouse, the Michelin Man, and Spongebob Squarepants.